It’s the best time of the year on the Mendocino Coast! Beautiful sunrises and sunsets. Longer and warmer days. Lots of things to do from hiking to biking … bird watching, ocean gazing, perhaps reading a new book! Enjoy the best rates on the Internet by booking direct with us. Use the button below to book your stay and get the best room rate available ANYWHERE! Use the above “Book Online” button. 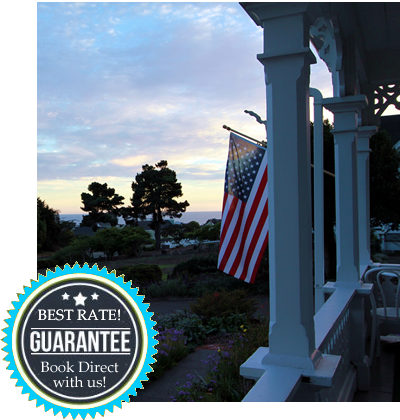 Fine Print: BOOK DIRECT RATE only available on 2 night stays weekdays. Not available for weekends, holidays and local events. Must use booking button above to make your reservation. New reservations only. This offer may not be combined with any other special or discount and is subject to availability.